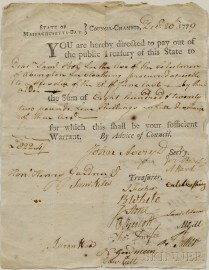 Adams, Samuel (1722-1803) Document Signed, 20 December 1779. Single leaf, typographically printed and fulfilled by hand. 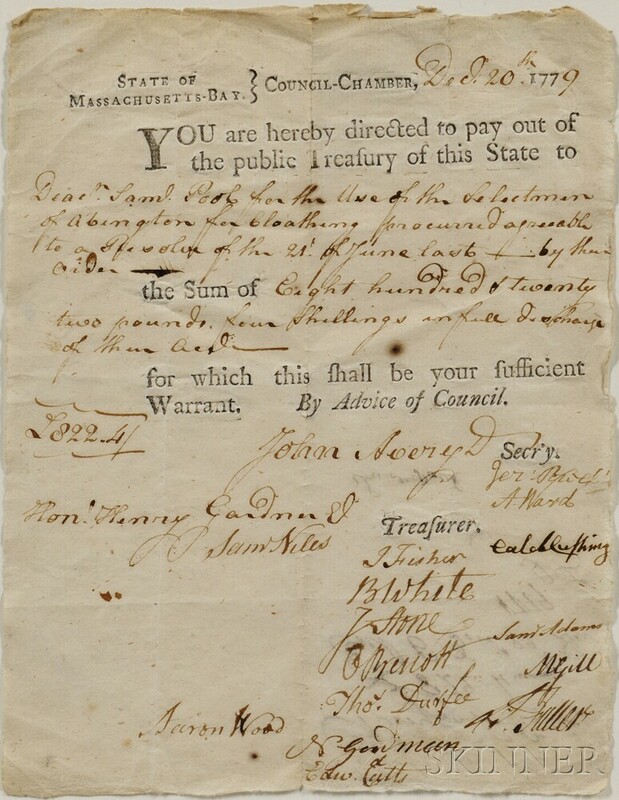 Authorizing the payment of 822 pounds, four shillings to Deacon Samuel Pool for the use of the Selectman of Abington for clothing, the sheet clean, with old folds, some marginal fraying, a two brown dots, matted and framed, 8 1/4 x 6 1/4 in.